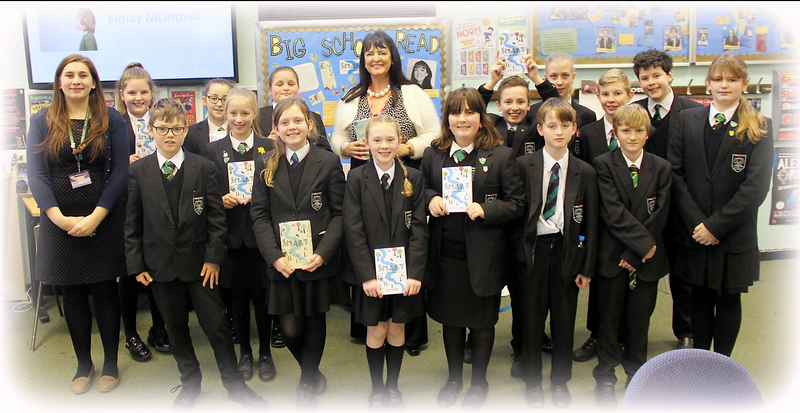 On Tuesday 6th December, I had the pleasure of visiting Neston High School in Cheshire as the author of ‘Smart’, the book selected for their Big School Read 2016. All departments are involved in the Big School Read but the work the English department undertook, in order to come up with a whole term’s worth of studying the novel, was truly impressive. Not only this, all the staff, including the Headteacher Mr Dool and three governors, worked together to produce the school’s own audiobook of ‘Smart’, all reading a chapter or two each . . . I was proud to be asked to read the final chapter myself! When I arrived at the school there was a lovely welcome awaiting from Miss Pearson, the wonderful School Librarian and even Mr Dool, who had made time in his very busy schedule to come and say hello. The day began as 300 Year 7 students filtered into the Stewart Hall. 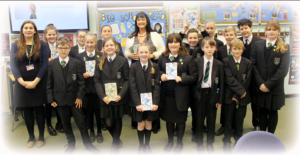 Every single student was reading or had already read ‘Smart’ in their English lessons. After the buzz of excitement died down and the students took their seats, I can honestly say you could hear a pin drop. I have never witnessed so many students, so well-behaved. Happily, the silence dissolved the moment I asked for comments on my use of the art of LS Lowry and its significance in the book. Hands shot up and eager students made their suggestions in full participation of the discussion. At the end of the hour-long talk, I gave the students an opportunity to ask me any questions. Again, many hands shot up. I answered as many as I could and yet so many hands remained that I sadly couldn’t get to because of time restraints. Such wonderful enthusiasm! Before the afternoon sessions, I was able to visit the school’s vibrant and welcoming library, a space very well-used and extremely popular with the students. Miss Pearson had covered the walls with eye-catching and inspiring displays that encouraged the students to read, including a fabulous display for ’Smart’, which can be seen in the photograph below. After that, it was time for a lovely sandwich lunch and I got to meet the entire English department in the staff room. ALL of the teachers had read ‘Smart’ and I enjoyed receiving so many positive comments about the book and answering lots of interesting questions, too. It was an honour to meet Mr Pearson, Head of English and also Mr Stuart Smith, the newly appointed Head of Key Stage 3, who had done the most amazing job with his Scheme of Work and lesson plans to facilitate the study of ‘Smart’. As he was keen to point out, many of the English staff had contributed but he had brought everything together to produce a most professional and effective learning plan for ‘Smart’ that the school intends to use for some years to come. The students were engaged, enthusiastic and keen to share their ideas. There were so many students eager to read out their work, I had to allow extra time for this. Wonderful! 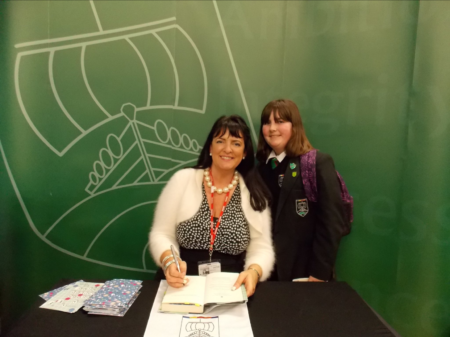 At the end of the school day, it was back to the Stewart Hall for a signing (and selfie!) session. 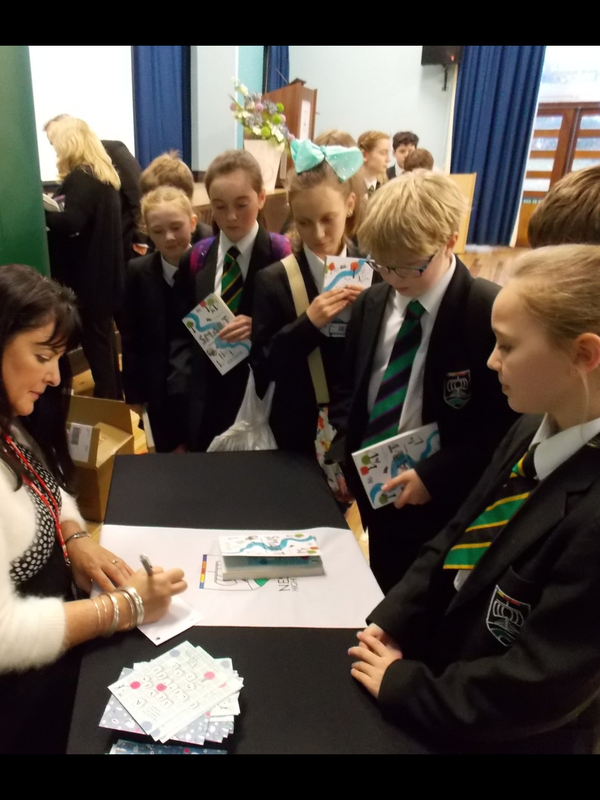 Although school had purchased copies of ‘Smart’ for use in English lessons, lots of students bought their own copies of ‘Smart’ and also ‘A Seven-Letter Word’ to be signed by the author. All in all, we had a fabulous day together. 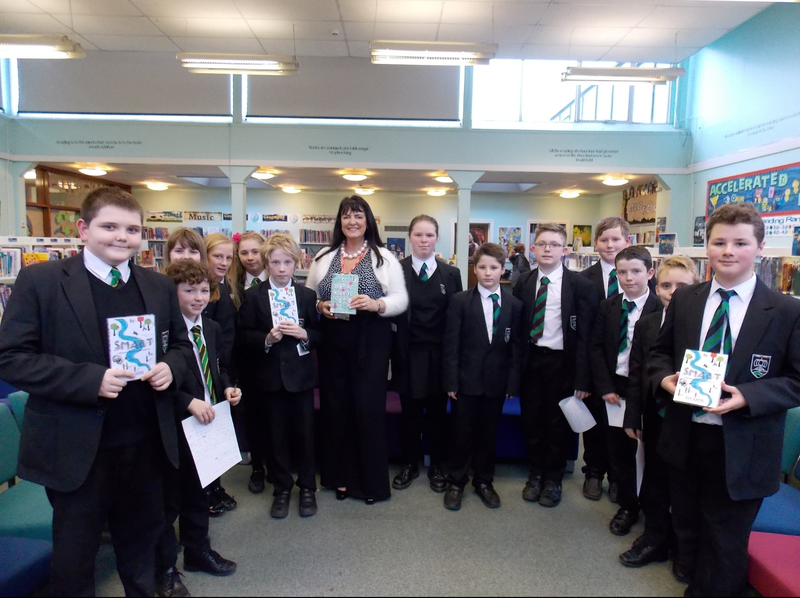 I was so honoured that ‘Smart’ was the book selected for the school’s Big School Read – I even got to meet Cody, the lovely Year 9 student who initially brought the book to the attention of Miss Pearson – and I felt so happy and proud that staff and students alike loved ‘Smart’ so much. Thank you, Neston High School, for making me so welcome.